Hello babes! I decided to order an empty Morphe palette and some new single Morphe eyeshadows! I've been loving mixing and matching my own palettes, I have a little 9 eyeshadow z-palette that I can take with me on trips but because my collection is growing I needed a new big palette to store the others. This palette isn't that heavy but the quality feels really great, it's sturdy and it closes nicely so I'm not afraid it will open when I decide to travel with it. I don't like that fact that it's not see through like the z-palettes but it was a lot cheaper! 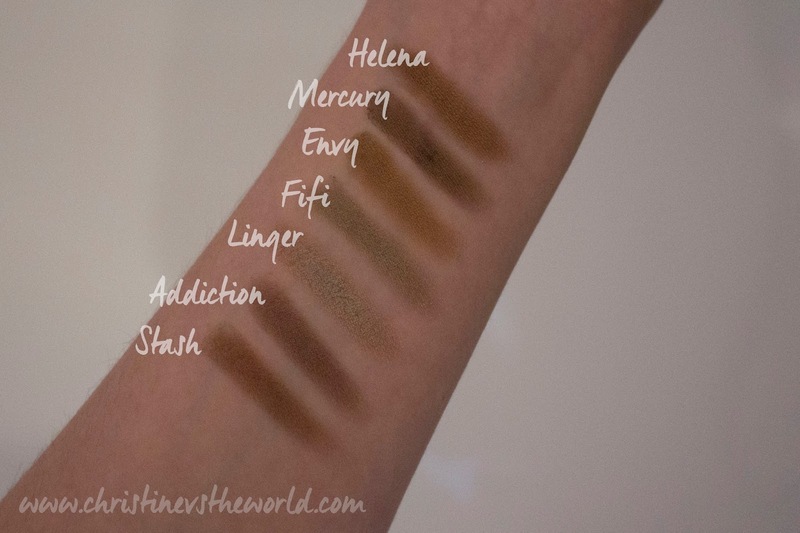 I bought some regular small single eyeshadows and quite a few of the premium bigger pan eyeshadows! I was intrigued because on the website they seemed very similar in colour and at first in the packaging I was very disappointed by their similarity but once I looked at them in better lighting and swatched them on my hand I could see the shade differences! As you can see they are quite similar but also unique in their own way, some are more grey toned, others more brown or even purple toned. 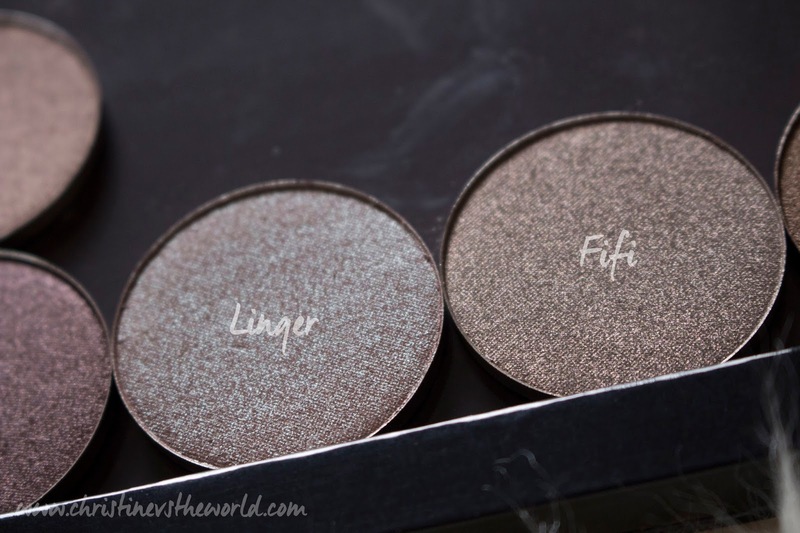 These two seemed very similar in the package, but up close they are so different, Linger on the left has a more duotone, almost green/silver shade whereas the one on the right Fifi is a browner shimmer. 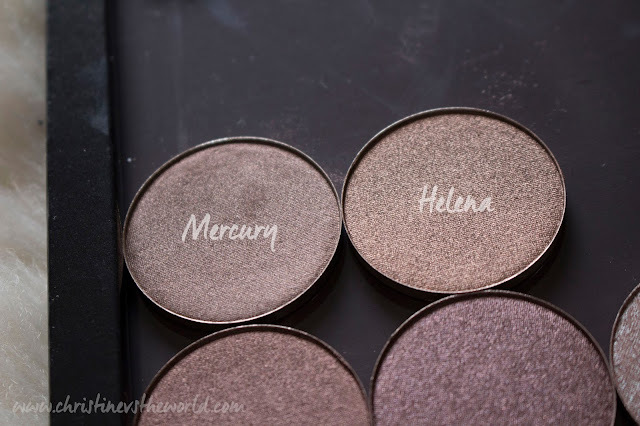 These two look very similar in the pan but Mercury is a much darker brown and Helena has a gold shimmer. 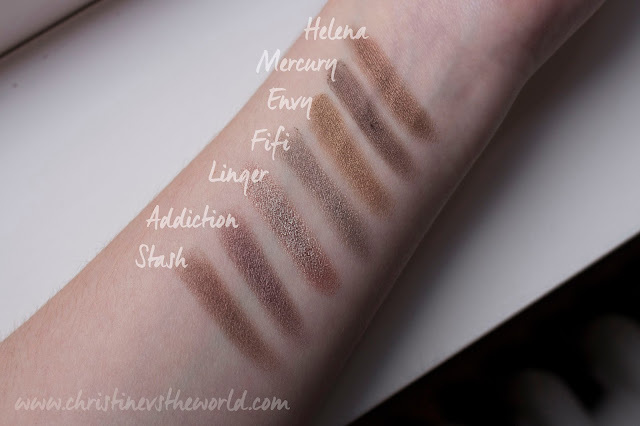 All of these Morphe eyeshadows swatch like heaven, they are extremely pigmented and soft, I do recommend using your fingers for the premium eyeshadows because they work best as an all over the lid shade to finish you look. These are the regular single eyeshadow I bought, I wanted to add some blues and purples to my collection as well as two more neutral shades. 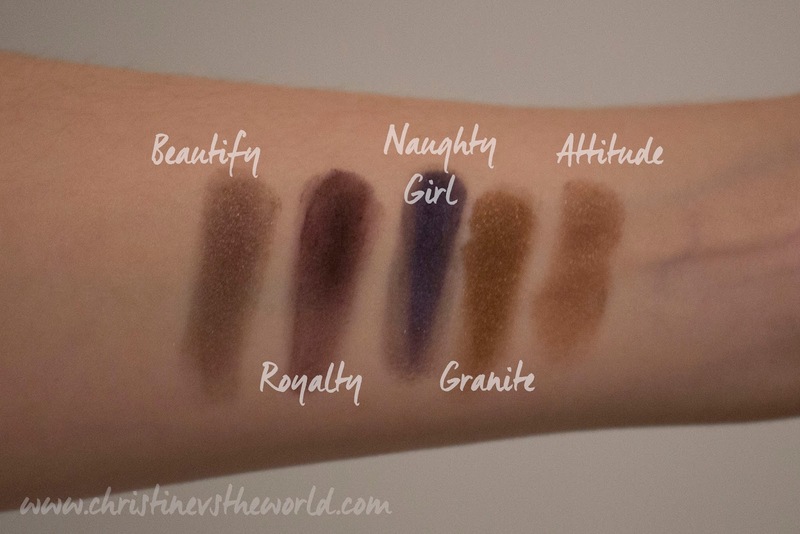 Attitude swatches a little less intense but it's a great blending shade because it is so light. 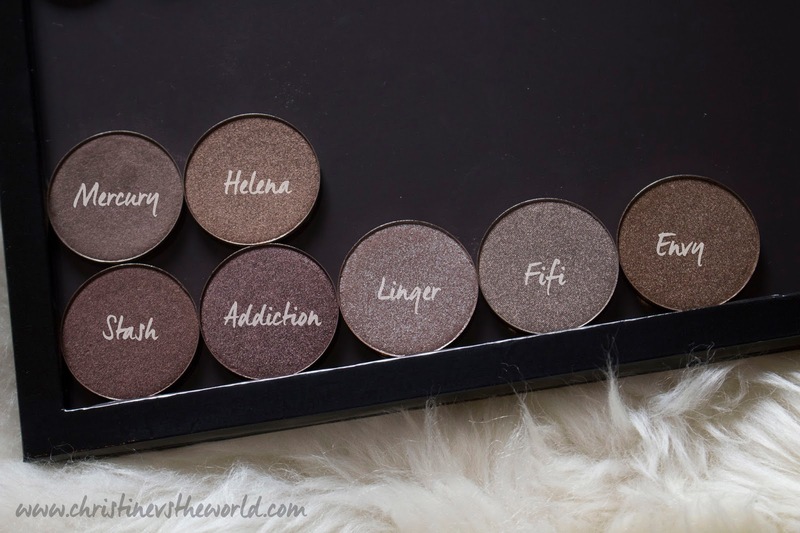 I'm completely in love with Morphe eyeshadows and I've also purchased one of their big palettes because I love the pigmentation and how they blend! I do have to say that if I don't use a good primer and setting spray these can fade, mostly the shimmer shades. But when I do use a good primer you can wear your eyelook all night! 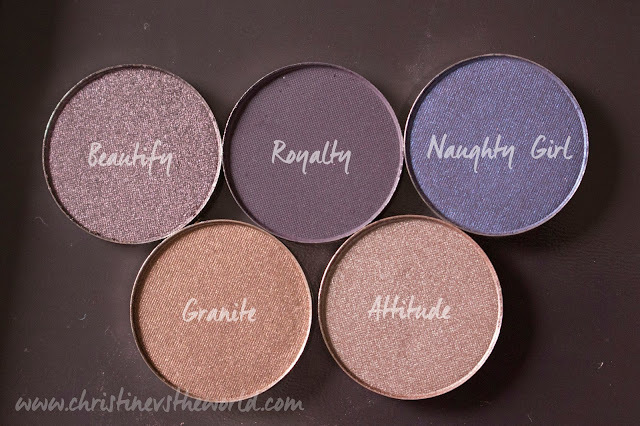 Naughty girl <3 Also, please, do something to my face with these eyeshadows, I beg you! Jammer dat ze faden, maar gelukkig helpt een goede primer! 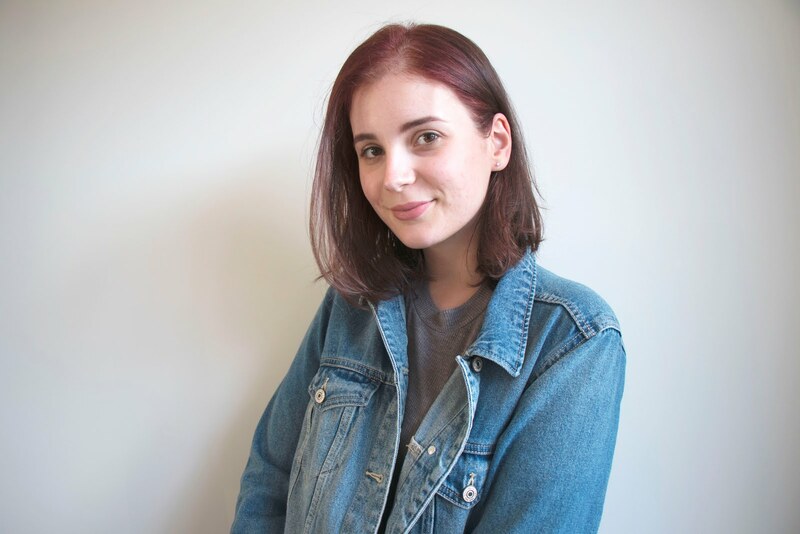 Ja verschoot er de eerste keer van dat mijn ooglook zo een geblende blob was haha, maar met de primer van urban decay was het veeel beter dus! Deze gaan op m'n wishlist! Ik draag sowieso altijd een combinatie van MAC Painterly + Too Faced Shadow Insurance dus dan komt het hopelijk wel goed met de houdbaarheid. Vooral de neutrals vind ik mooi! Ja dat zal sowieso wel werken denk ik! 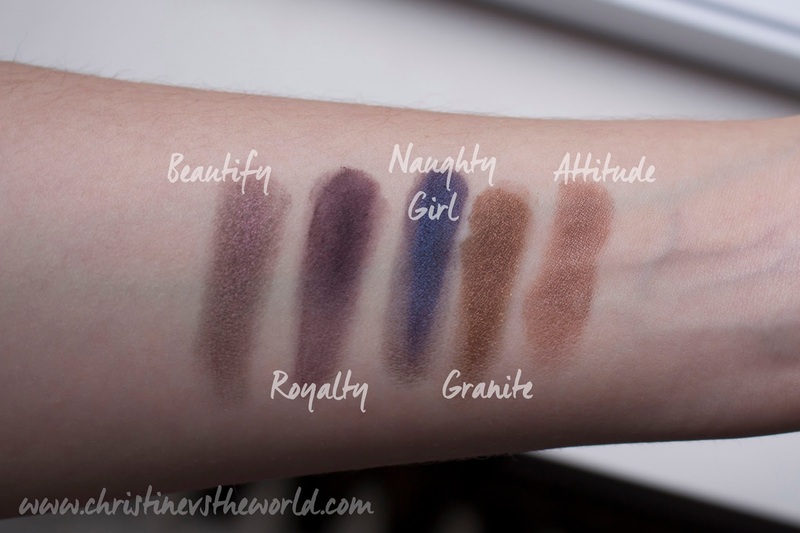 Heb zelf ook een palette van Morphe met veel neutrals, zo verslavend!